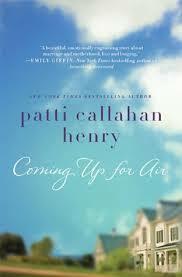 I received Coming Up for Air via the Good Reads First Reads program. Unfortunately this book fell flat for me. I found the characters to be very one-dimensional and I don’t think there was a single line of dialogue that I found believable or natural. The book centered around a solving a mystery, the answer to which I correctly guessed about 40 pages into the book. It seemed that the author didn’t trust the audience, as every moment that should have been subtle and powerful was over explained. There was one memorable section of the book, which was the description of a Jubilee. The author managed to capture the magic of the experience but unfortunately I didn’t find that same gift for description or whimsy to be present in the rest of book. This entry was posted in book reviews, fiction and tagged book review, fiction, henry. Bookmark the permalink.